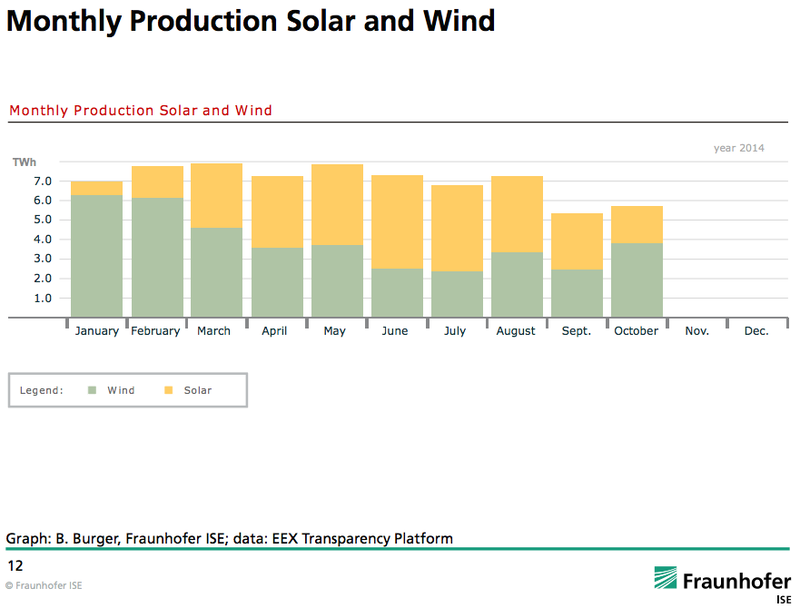 Germany is arguably the leading renewable energy market in the world. It’s big in wind energy, biomass energy, and of course solar energy. 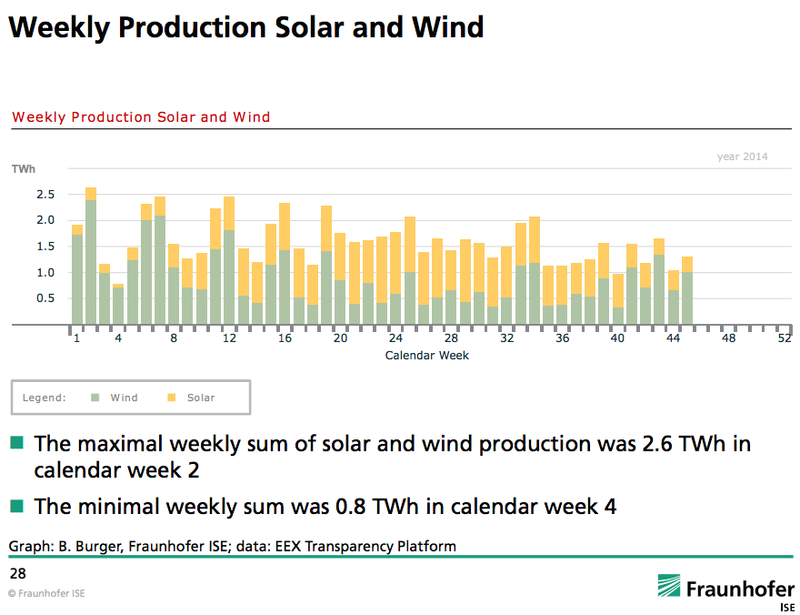 Prof. Dr. Bruno Burger of the Fraunhofer Institute for Solar Energy Systems ISE releases charts one a month on the Germany renewable energy market. The following are the latest, released just a few days ago. My commentary is in the captions. 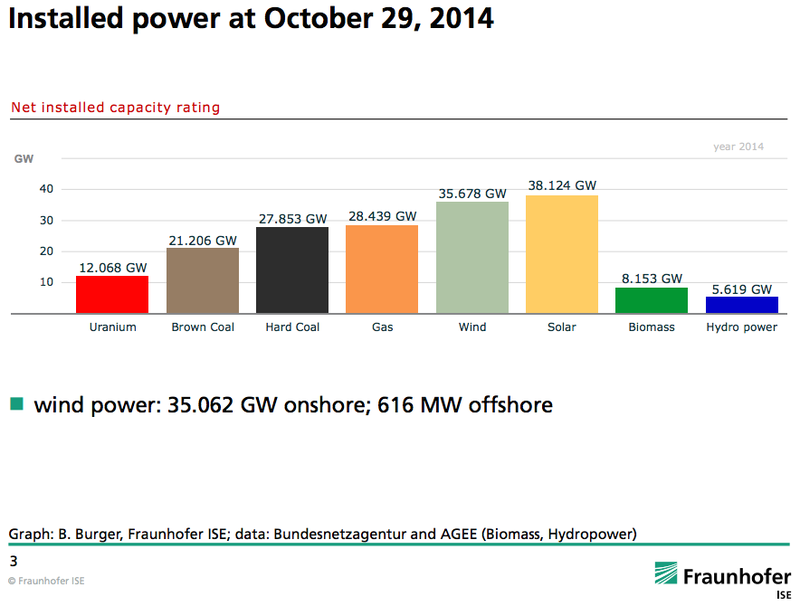 Wind, solar, and biomass now have more power capacity online in Germany that natural gas and coal. Solar has more than any other energy source, followed by wind. That’s cool. Unfortunately, there’s still a long way to go before solar and wind surpass fossil fuels in generation. But solar, wind, and biomass together are now more than black coal and natural gas combined. 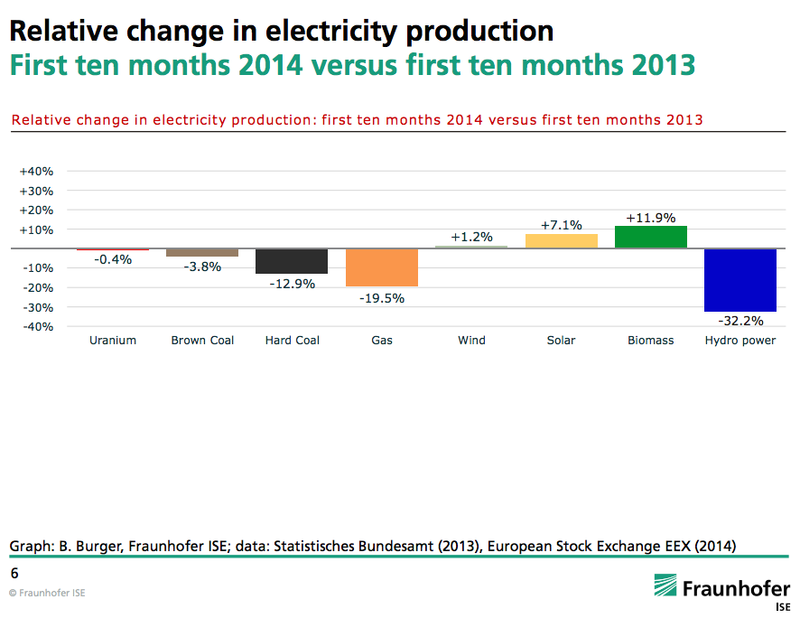 Still, electricity from coal and gas has dropped a lot compared to 2013, while renewable energy generation has increased. 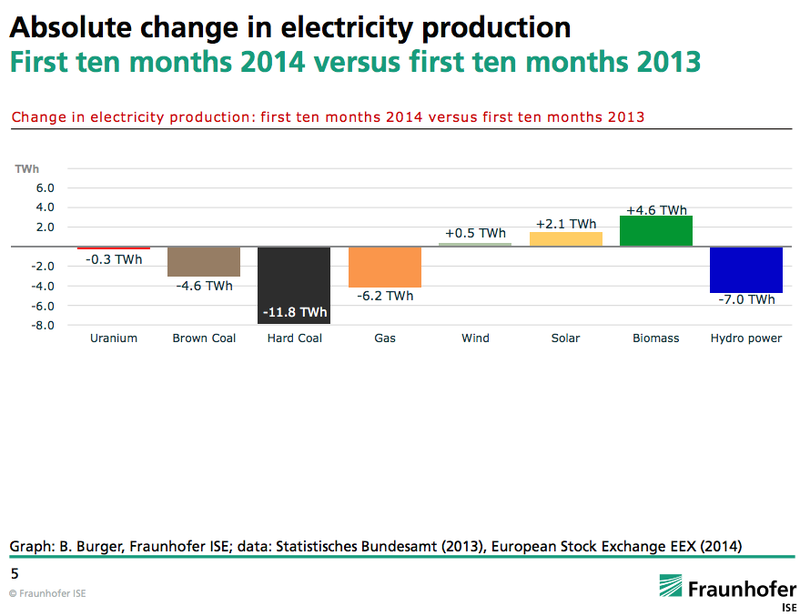 Here’s a look at the same thing but in a different way, relative change in electricity production. Of course, as I’ve shown before, solar power and wind power are extremely complementary. It’s surprising how much combined electricity generation is similar from month to month. Here’s the same reality expressed on a weekly basis. Not only because of the growth in renewables, but partly because of it. 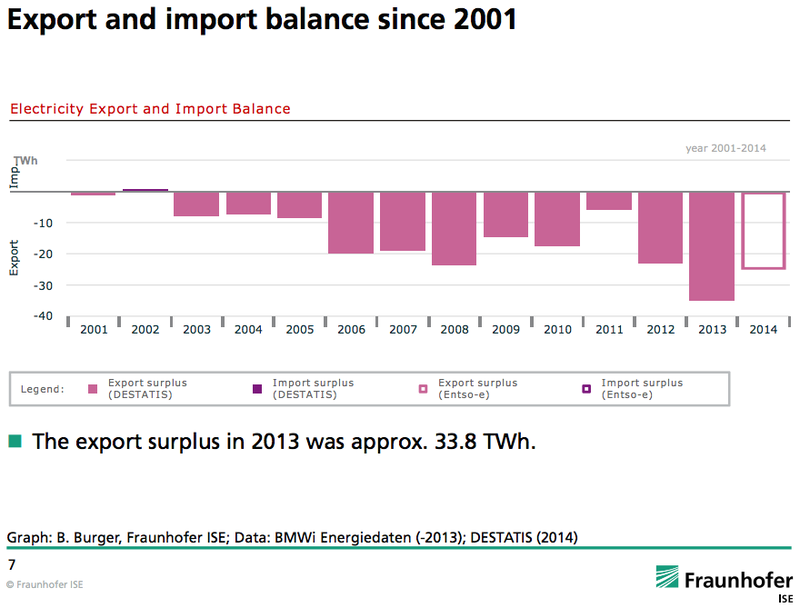 German electricity exports have grown a lot in recent years. Check out all the charts in the 200+ pages of the report here.